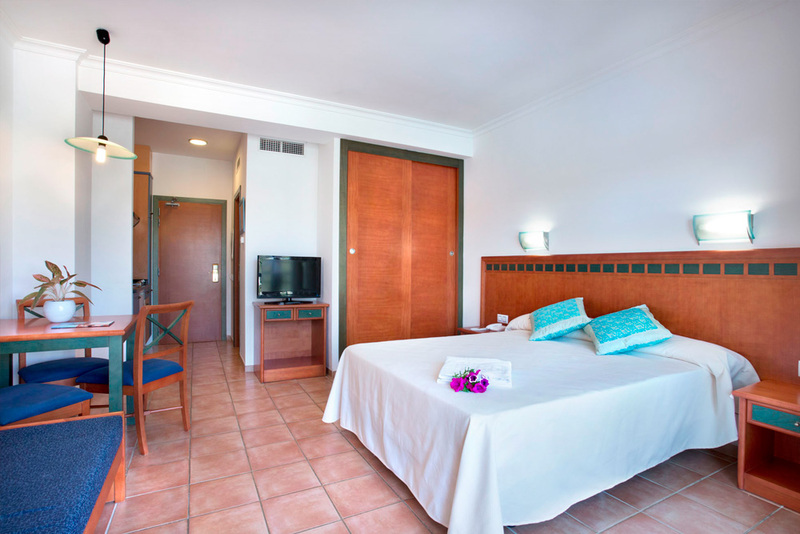 The Paradise Club & Spa Hotel has 191 rooms: 136 one bedroom spacious apartments, 12 two-bedroom apartments and 43 comfortable studios. 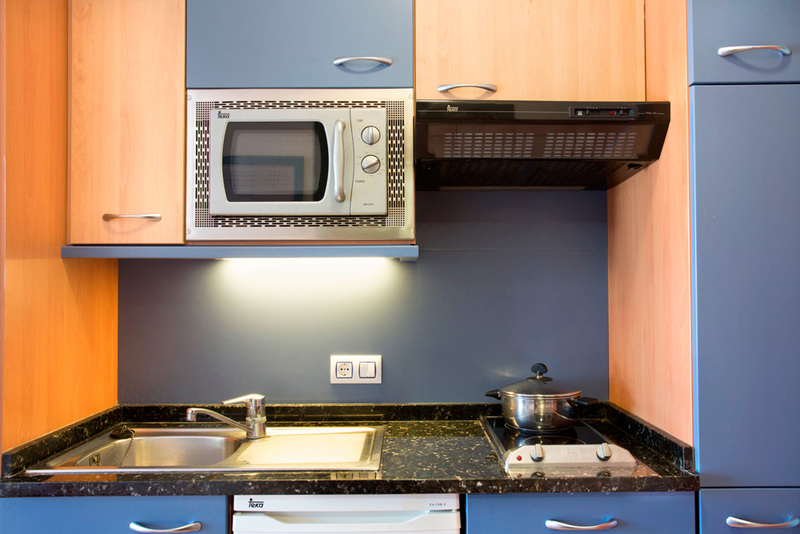 For families with two children. 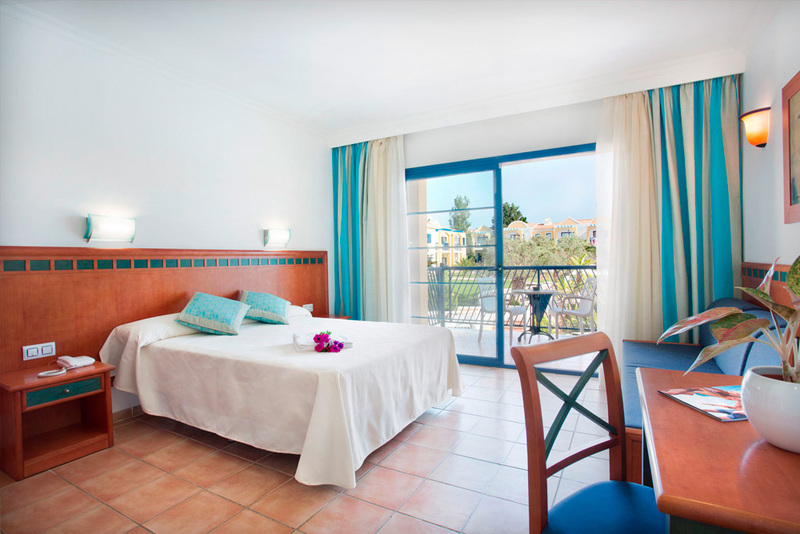 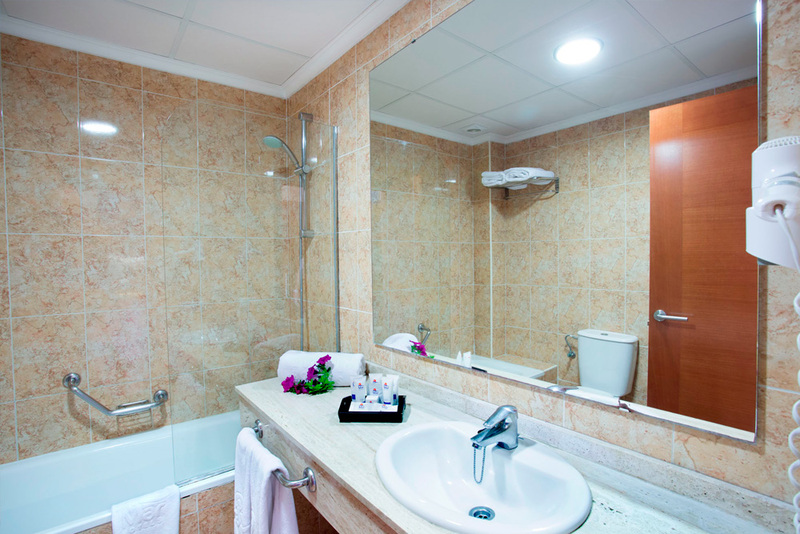 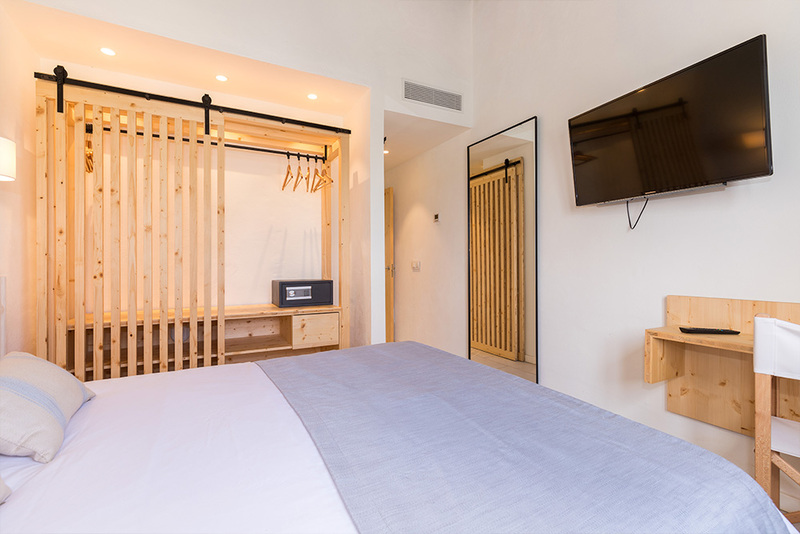 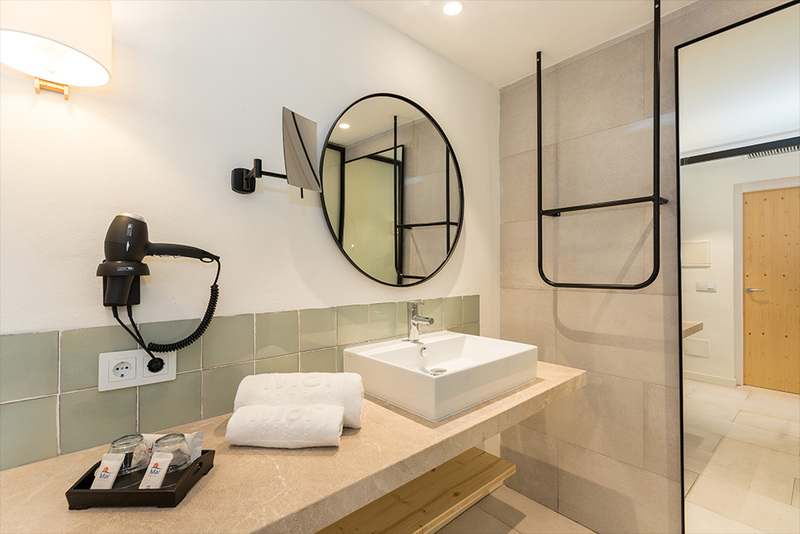 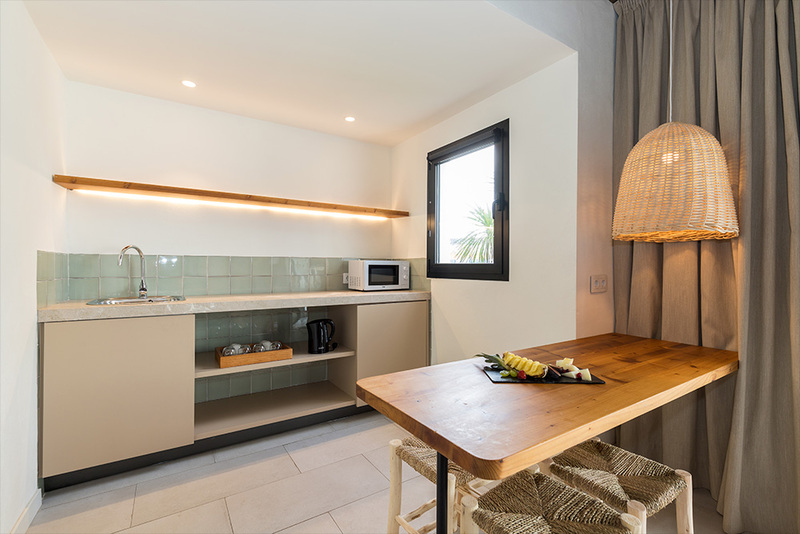 The 40 m2 apartments have a separate bedroom, living room with double sofa-bed, bathroom and equipped kitchen. 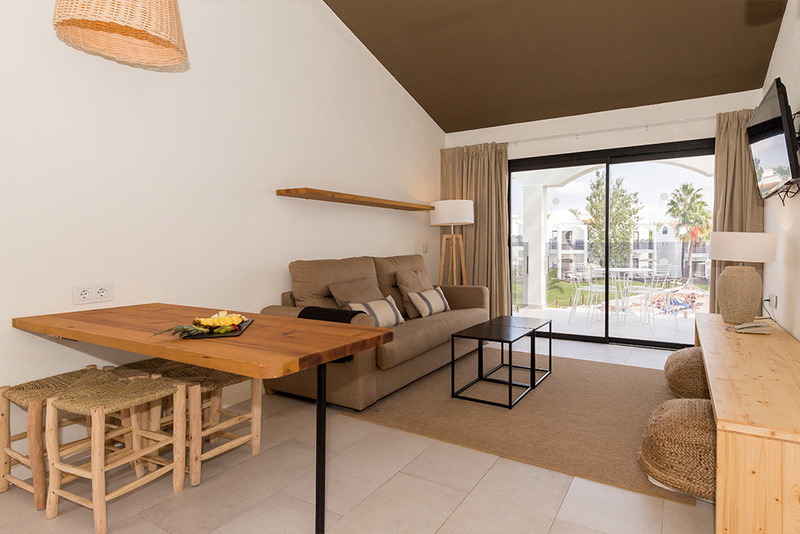 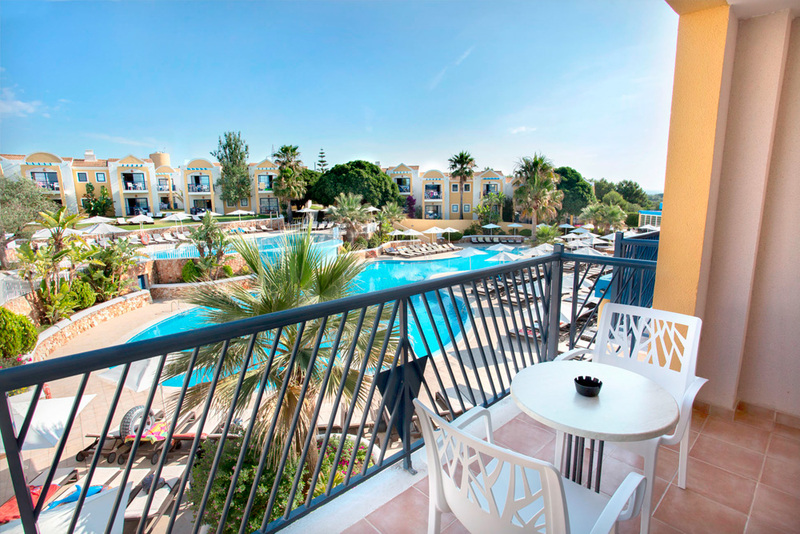 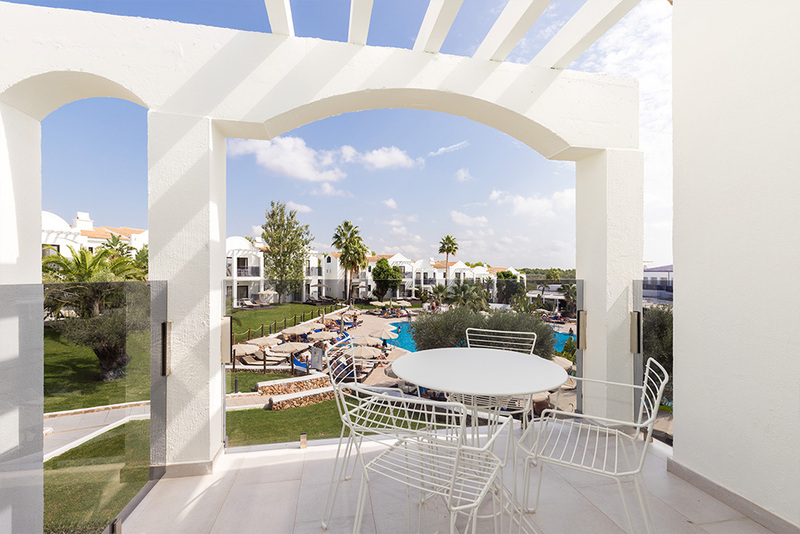 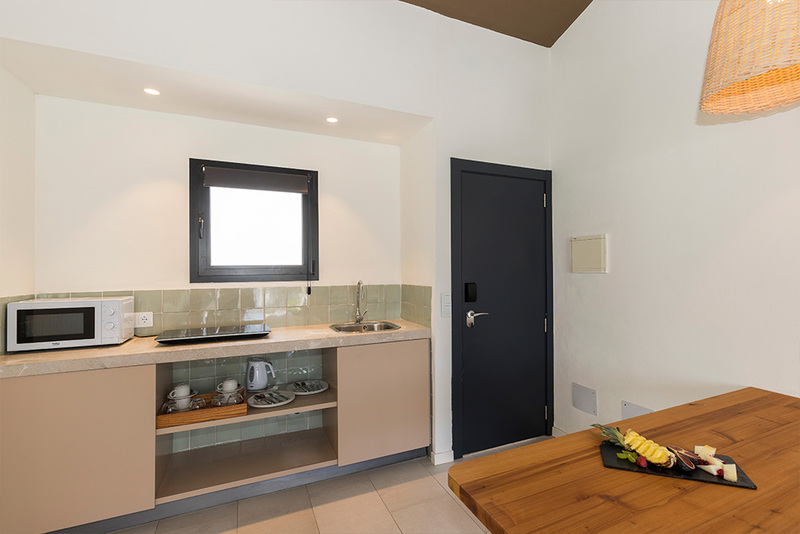 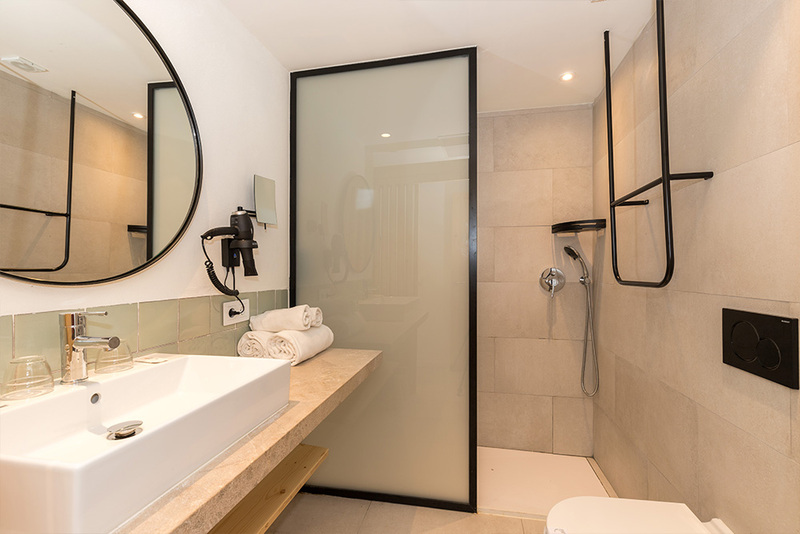 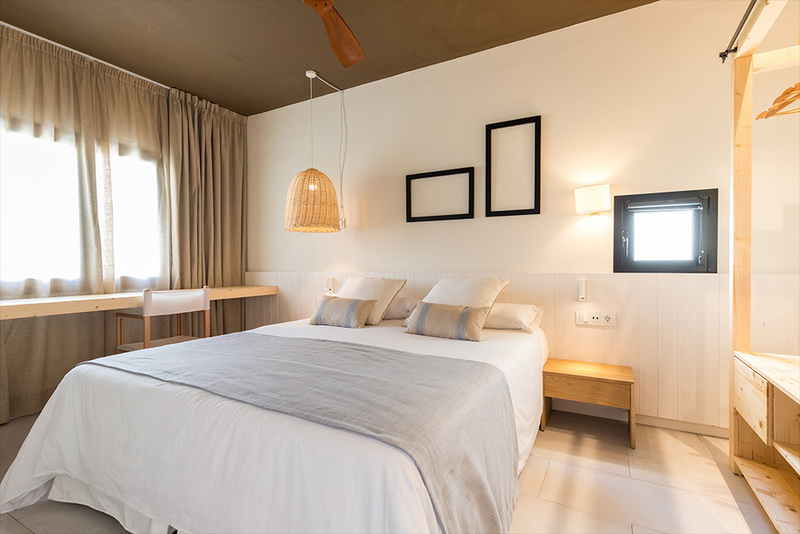 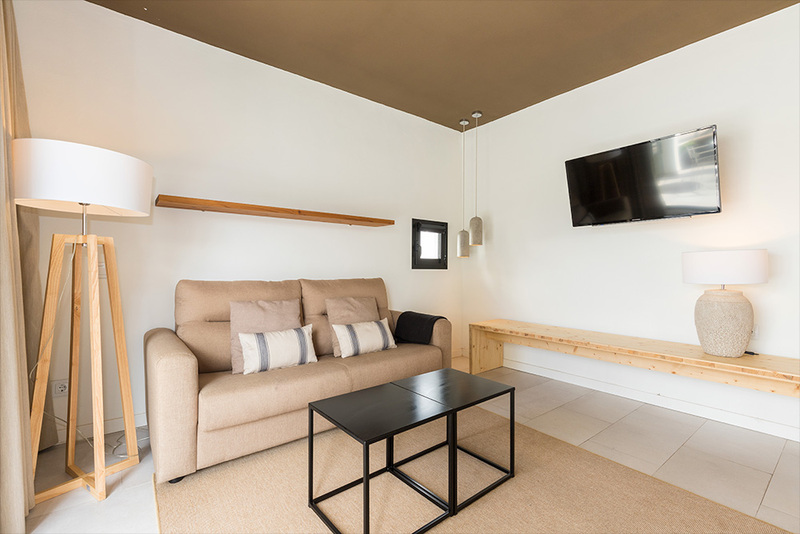 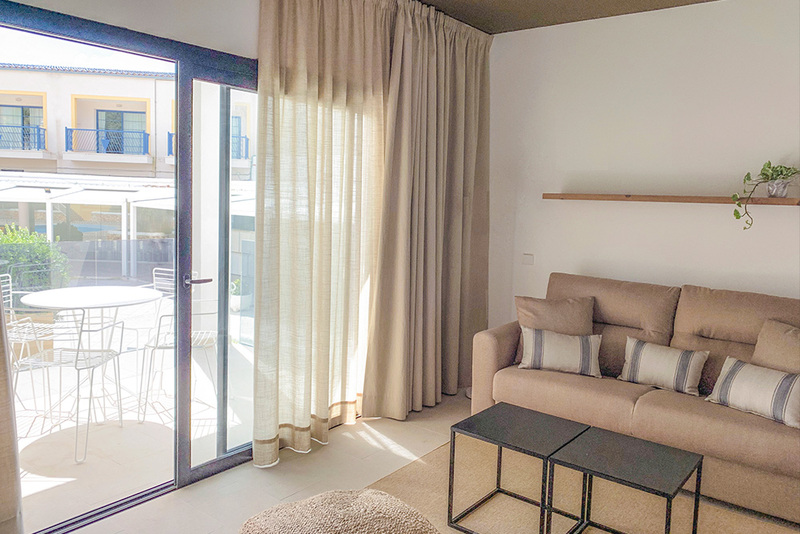 This 60m2 apartment has two bedrooms, two bathrooms, a living room with two sofa-beds and an equipped kitchen making it the best option for family holidays. 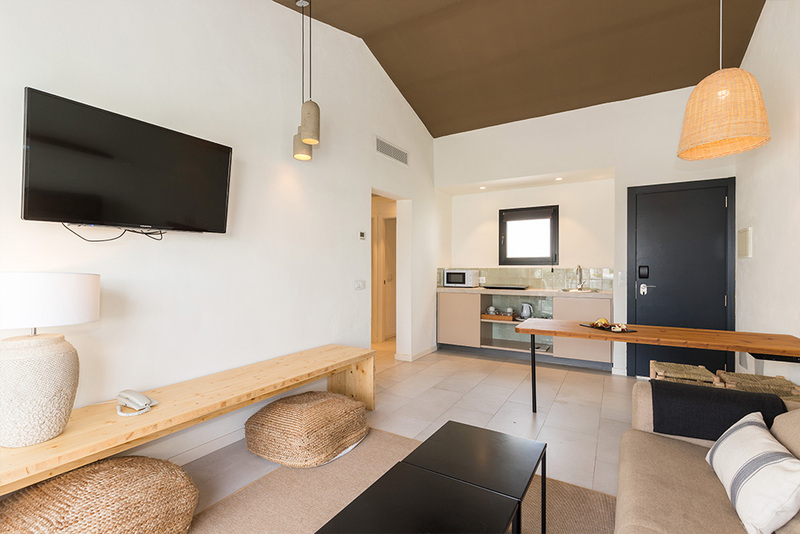 These 25 m2 rooms have a room with two beds, one sofa-bed, a bathroom and kitchen with a microwave and fridge.